Railways has made changes with respect to certain criteria so that more aspiring candidates from all sections of society get opportunity to serve the nation by working for Indian Railways. 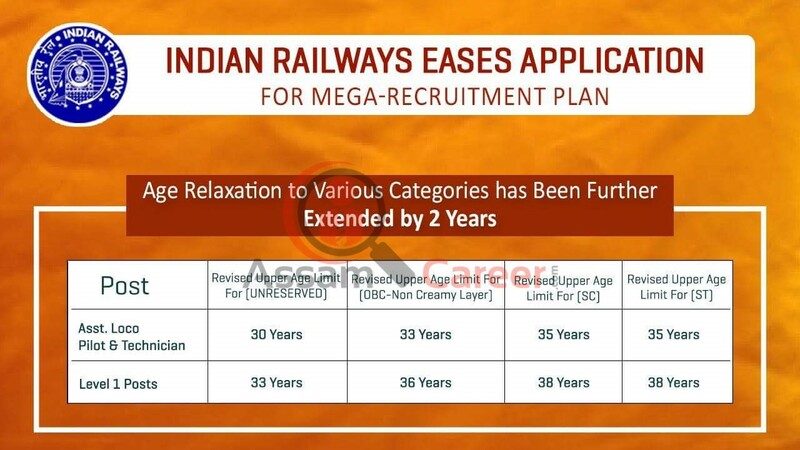 Age relaxation restored for various categories of candidates by further extending relaxation by 2 more years. For non-exempt candidates who have to pay Rs. 500/- as examination fees, Rs. 400/- will be refunded if they appear for the exam. Educational Qualifications criteria for Level I will be class 10th or ITI or equivalent, again for this exam. Question papers to candidates will be provided in 15 languages. 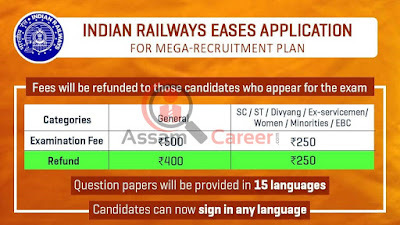 Candidates can now make signature in any language instead of only in Hindi or English. Educational Qualifications: Minimum educational qualifications for all Level I (Group D) posts were class 10th or ITI or equivalent till July, 2017. In July, 2017 for many of these Level I posts, criteria was changed to class 10th and ITI or equivalent. This was not known the people in advance and was unfair to candidates who had been preparing over the past years for this recruitment. Candidates would have got a chance to acquire the required certifications and qualifications had they been given adequate advance notice. Therefore, it has now been decided that for this exam, criteria will be class 10th or ITI or equivalent, again. This will enable more candidates to apply for the posts and ensure wider participation. 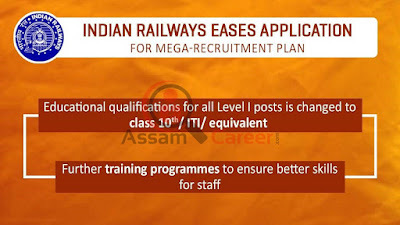 In addition, Railways has planned further training programmes to ensure better skills for staff. 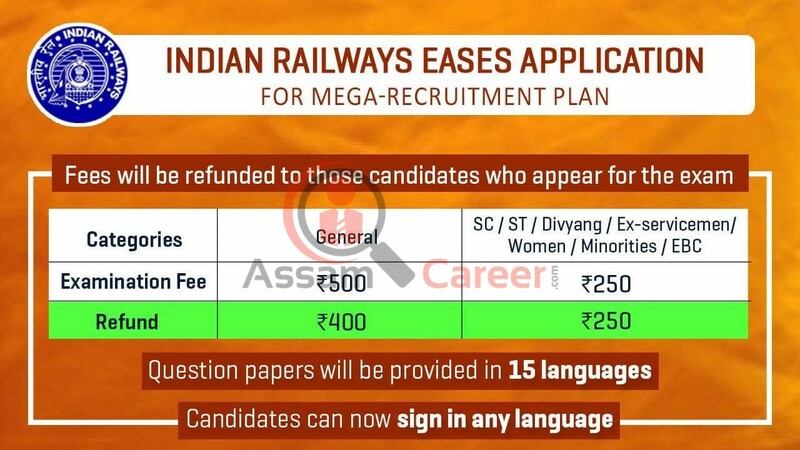 Language: Question papers to candidates will be provided in 15 languages – Hindi, English, Urdu, Assamese, Bengali, Gujarati, Kannada, Konkani, Malayalam, Manipuri, Marathi, Odia, Punjabi, Tamil and Telugu. This will ensure opportunities for candidates across India. Signature: Candidates can now make signature in any language instead of only in Hindi or English. This will adequately reflect the diversity and plurality of India.